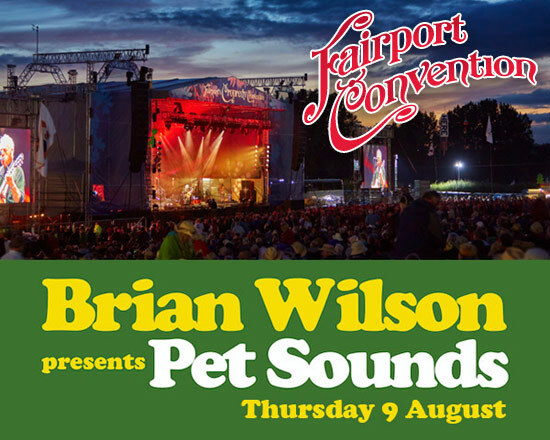 Fairport’s Cropredy Convention 2018 is proud to announce that headlining our festival this year we welcome the legendary Brian Wilson. 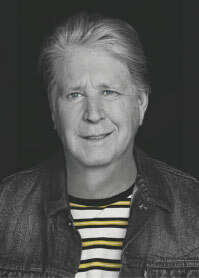 A Songwriters Hall of Fame inductee and recipient of the Ivor Novello Award for Lifetime Achievement, Brian Wilson is one of popular music's most revered figures, the main creative force behind some of the most cherished recordings in rock history. In 1966 Brian produced three landmark records, recordings that changed the course of popular music. The first was Pet Sounds. Universally acclaimed for its ambition and sophistication, Pet Sounds is widely acknowledged as one of the most influential albums of all time. Primarily working with a new collaborator, lyricist and songwriter Tony Asher, Wilson produced a masterpiece that still stands at number 2 in the Rolling Stone '500 Greatest Albums of All Time' list, only beaten to the top spot by The Beatles' Sgt Pepper. Pet Sounds featured four hit singles; a reworking of the folk standard Sloop John B, Wouldn’t It Be Nice, Caroline No and God Only Knows. The latter was released as a solo single under Brian’s name and is considered by many (including Paul McCartney) as one of the most beautiful songs ever recorded. And the good news is that Brian and his band will be performing Pet Sounds (and more!) for us this August! Don't forget to visit our website, follow us on twitter or join us on facebook for the latest updates from the world of Fairport. or signing up to our emailing list via our website. To unsubscribe from future Fairport Convention emails, please click here.